Virtual Display Manager, a.k. 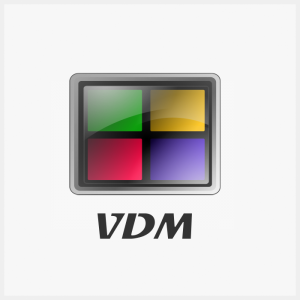 VDM, helps to address situations when one monitor “single pane” layout is not sufficient and computer users find themselves at a loss of “tabbing” through hidden windows until they get to particular application they were looking for. Even with multi-monitor setup “power users” can benefit from VDM’s ability to partition available space into virtual displays that behave as native physical monitors. It is also common to consider Virtual Display Manager as a power-efficient replacement to multi-monitor setup when using a large single monitor offering significant cost savings for corporate office implementations. Virtual Display Manager is offered with two distinct licenses. CL – Console License, and MUL – Multi User License. Targets Desktops with Windows XP, Windows 7 and Windows 8/8.1, 10 Operating Systems. Supports direct console connections as well as remote sessions via RDS, ICA/HDX, Blast/PCoIP and VNC. License is issued per Computer name, user count is unlimited. Targets multi-user deployments with Windows RDS Hosing (former Terminal Services) and Citrix XenApp. In addition to console access via RDS, ICA/HDX, Blast/PCoIP and VNC offers support for non-console sessions.